Hello and happy spring! Does it even feel like spring where you are? We’ve had snow, flooding rains, hail and heavy winds all in the last few days! Sometimes when the weather outside doesn’t reflect the season, it’s fun to brighten up the inside with shades of spring– and lemon pepper can do just that. This is a pattern we’ve offered for several years, but the sage and lemon tones make it a customer favorite and a great choice for spring. 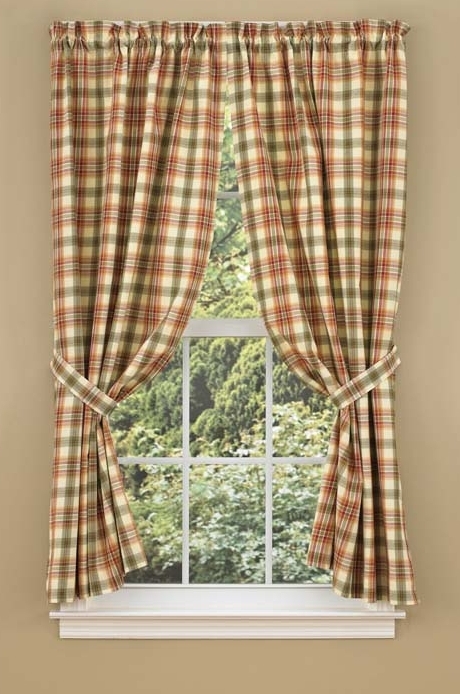 Layered valance – 9% off! 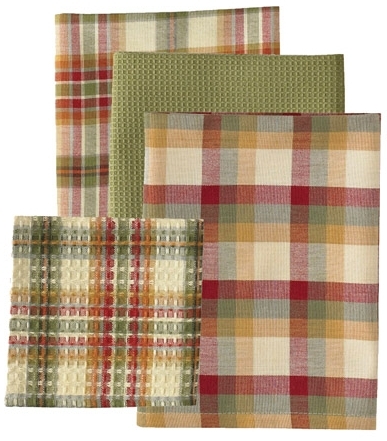 Dishtowel set – 23% off! Shower curtain – 8% off! Throw blanket – 11% off! Lined curtain panels – 21% off! Hope you are having a wonderful week! Check back soon for some of our spring cleaning/decorating tips! 10 more rugs in clearance! We’ve got some fantastic deals in the clearance section this week as we continue to make room for all the new inventory we’ll be adding in 2018! Here are 10 beautiful rugs that are priced to move! Burlap 5×8 Star Jute Braided Rug – 45% off! Maverick 6×9 Ultra Durable Braided Rug – 72% off! Winesap 27×45 braided rectangle rug – 45% off! Artemis 4×6 oval jute braided rug – 31% off! Durfey Brown and Navy 30×50 Woven Rug – 15% off! Parker Dobby Cotton Rug – 32% off! Lancaster 30×50 blue or green rag rug – 45% off! Multi-star 16.5×33 navy blue cotton half circle rug – 38% off! Multi-star 27×48 red cotton oval rug – 33% off! Berkeley 27×48 wool and cotton rug – 33% off! Tagged clearance rugs, country braided rugs, ultra durable rugs, woven rugsLeave a Comment on 10 more rugs in clearance!